I apposed them. Yes, quite interesting! 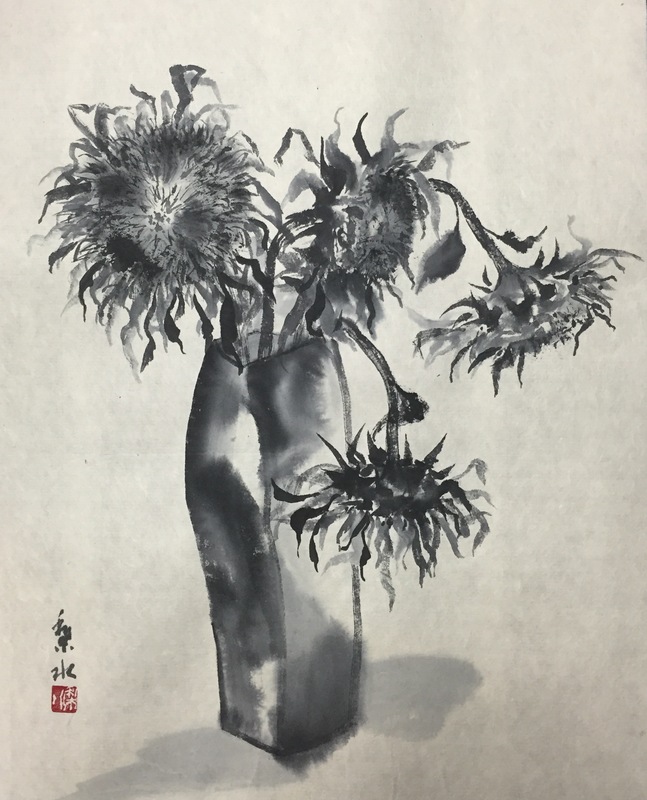 “Someday, I am going to exhibit with a choice of three or four pieces of them.” My late aunt who was also a sumi-e artist used to say that it was difficult to impress people in the flower pieces, but I feel like being able to move people with a story in this way. More than anything, I enjoyed myself. I think that it is the best.